What took place as a chance meeting, soon blossomed into a collaboration and the timing couldn’t be better. 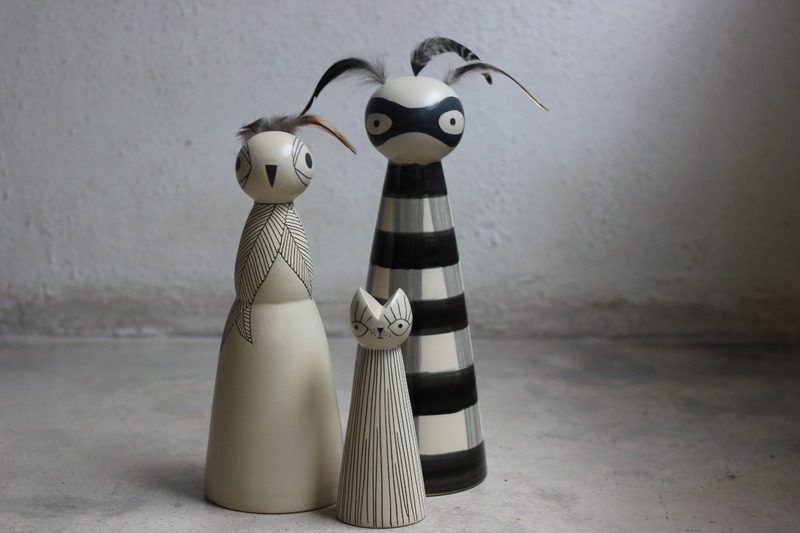 Kevala Ceramics and Fliss Dodd from ‘Udder have collaborated on their first collection with both functional and figurative pieces. The ‘Dari Mana collection’ of bowls, coffee cups, creamers and boxes is inspired by travel and with this first range, it is the island of Bali that serves as our inspiration. Hand written places from Bali wrap around the pieces hoping to evoke a past memory and that connection of time and place shared from your days on this beautiful island. Indelible memories left with you from the people you meet, the places you visit and the food you eat. 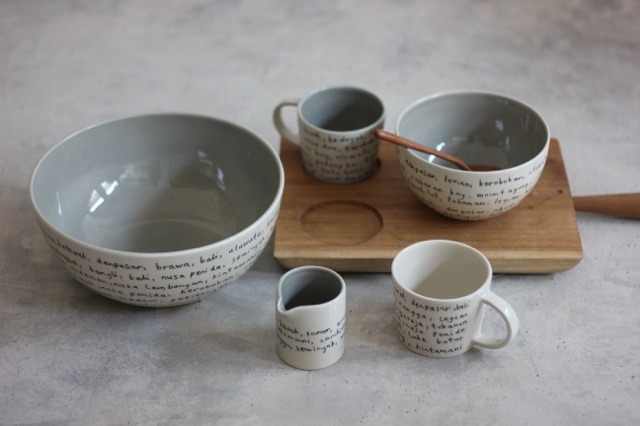 Every piece is hand thrown and then individually hand written. The functional pieces are finished using a combination of glazes. All of these semi totemic figures have a place in Bali, either through culture or ceremony. The Poleng figure was created after being inspired by the Poleng cloth (the black and white check cloth) you see throughout Bali on statues, worn as a sarong for ceremony and wrapped around trees. Its symbolism between the good and bad (right and wrong) I have portrayed in my own style through the use of feathers, a mask and a glazed check pattern. The Owl is also adorned with feathers, both real and carved and the Cat is simply carved with many scraffito lines and left raw (unglazed) giving the surface another quality and texture. Ibu represents all the beautiful women of Bali, especially during ceremonies. As it still being finished, the details will have to be explained later!